Newish technology applied to the oldest of human investigation. 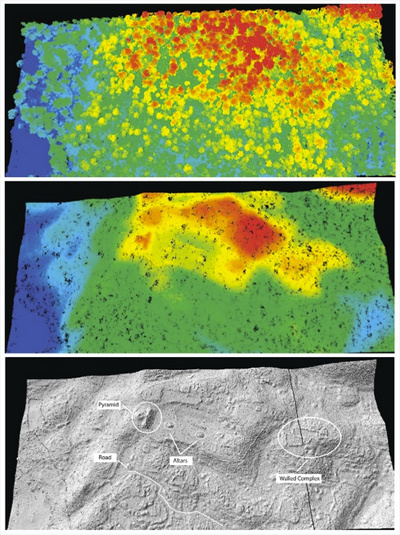 It’s great to see the progression from eyes on the ground (looking for mounds/hills) in early archaeology to the introduction of the airplane and cartography to heat mapping and other more modern technologies to finding ancient settlements. Indy Goes Geek: Laser Mapping Helps Archaeologists | Wired Science | Wired.com.